Music from Denmark, Finland, Norway and Sweden ranging from the haunting to the exuberant. 11. iii Havde jeg, o havde jeg en dattersøn, o ja! 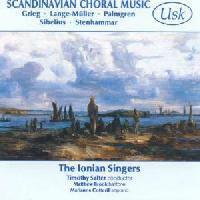 What do you want to know about Scandinavian Choral Music?